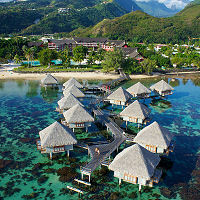 Welcome to Tahiti and Pape'ete! We are proud to offer private transfers to various destinations in Tahiti and some of our most popular transfers include the Papeete Tahiti Airport to various resorts, including the Intercontinental Resort Tahiti, Inaiti Lodge, Manava Suite Resort, Royal Tahitien, Tahiti Nui Hotel, Hotel Sarah Nui, Le Meridien, Airport Motel, Tahiti Pearl, and Tiare Tahiti. We also offer other hotels, resorts, and towns as well (please contact us for a quote). We also offer a service between the Tahiti PPT airport and both the Papeete cruise port and ferry terminals and customized tours and transfers also available. Vehicles used for this transfer include:Nissan SUV (4 passenger)We also offer an optional lei greeting option for arriving passengers. Our lei greet..
Vehicles used for this transfer include:Nissan SUV (4 passenger)Are you booking a trip back to the airport (reverse direction)? There are no p..
Vehicles used for this transfer include:Nissan SUV (4 passenger)Are you booking a trip to the cruise port (regular direction)? There are no pa..
Vehicles used for this transfer include:Nissan SUV (4 passenger)..
Do you have some time between your arriving flight and your cruise in Tahiti?Take your own private half day tour (up to 4 hours) from the Tahiti airpo..
Vehicles used for this transfer include:Nissan SUV (4 passenger)Are you booking a trip back to the airport (reverse direction)? 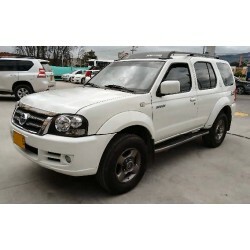 There are no pas..
Vehicles used for this transfer include:Nissan SUV (4 passenger)Are you booking a trip from the Airport Motel to the port (reverse direction)? ..